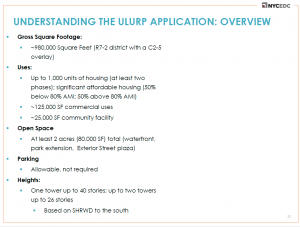 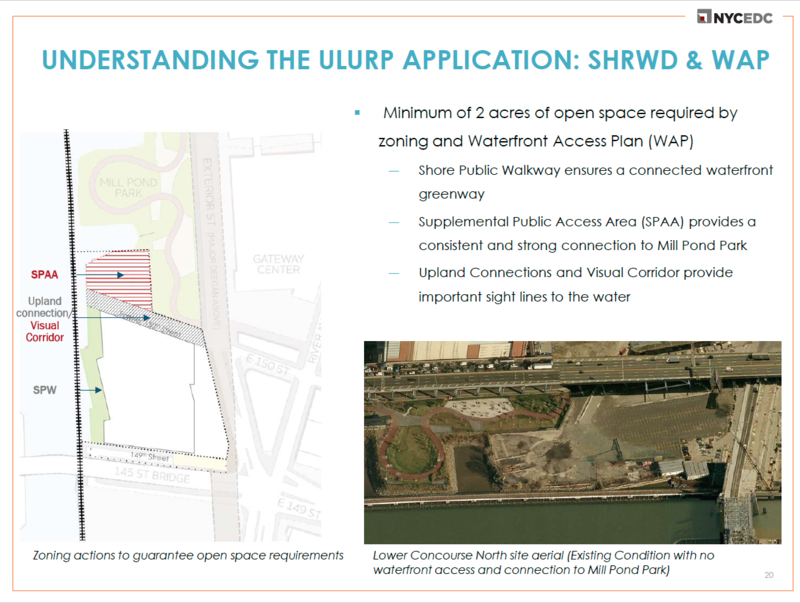 The map was designed to show that there are other alternatives to the proposed 4-acre site. 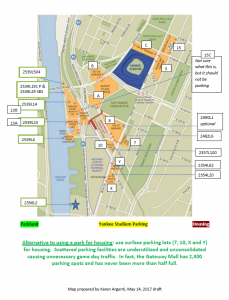 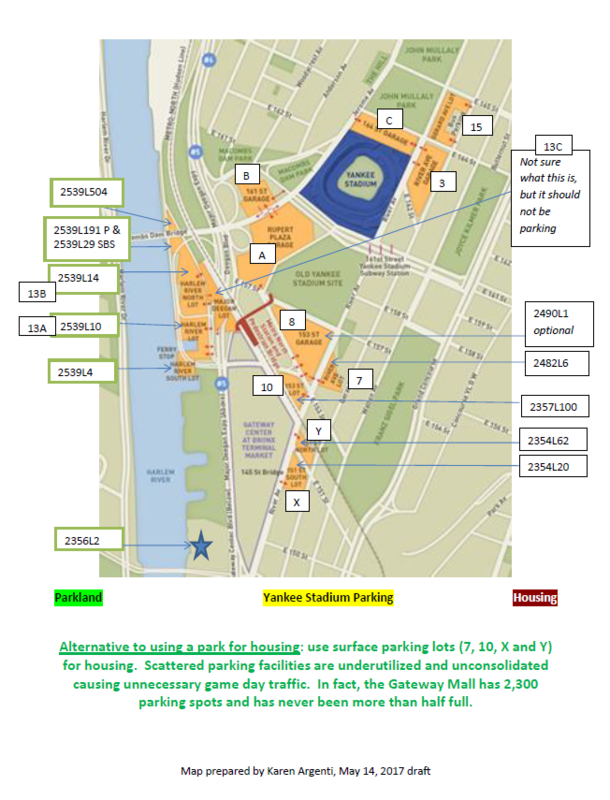 The surface parking lots are underutilized during the 80 Yankee Home Games. 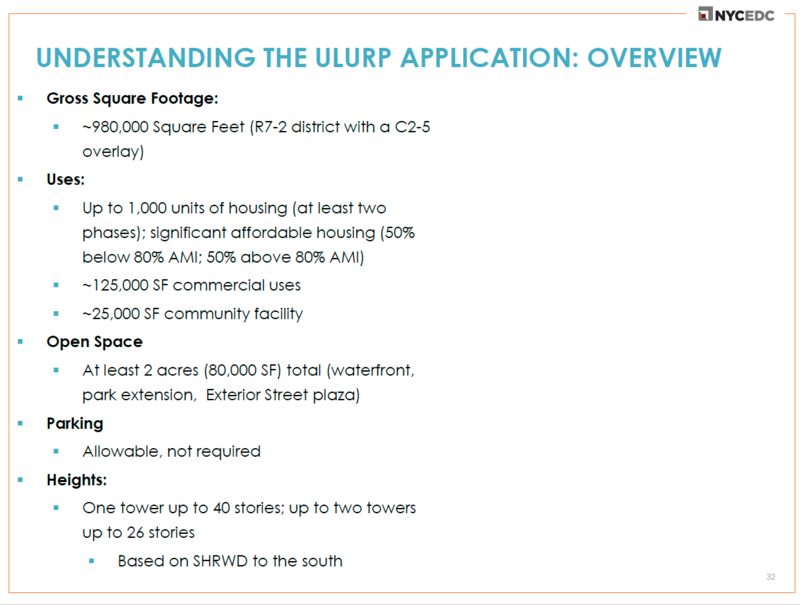 Moreover, they are not even used most of the year. 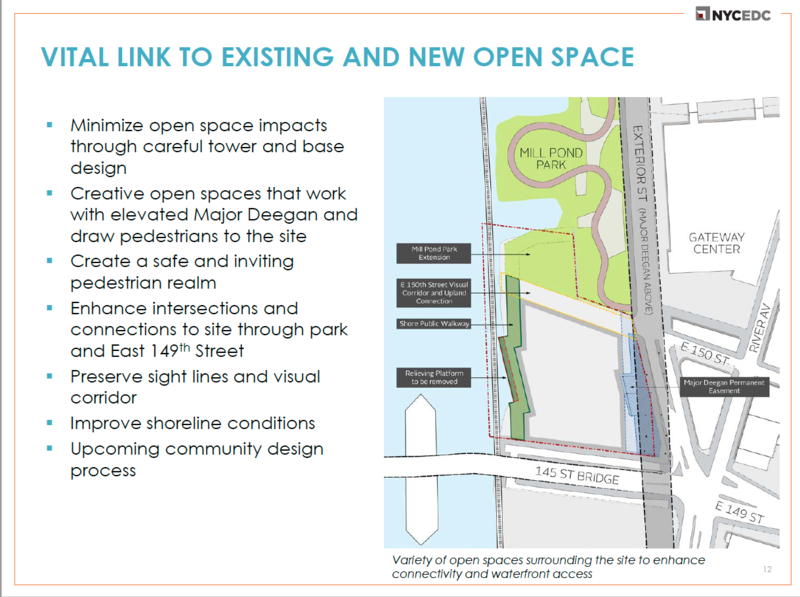 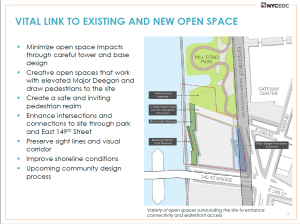 Below find the documents from EDC using parkland to meet the waterfront plan.